Remove eyes & lip makeup in one step while softening, brightening and evening skin tone. An innovative and effective makeup remover that meticulously eliminates all types of makeup, including waterproof makeup around the eye and lip contour area. This exquisite makeup remover with unique sensory properties and a delicious lavender fragrance provides maximum luminosity to this area while evening skin tone. Ophthalmologist tested, it is perfect for all skin types. 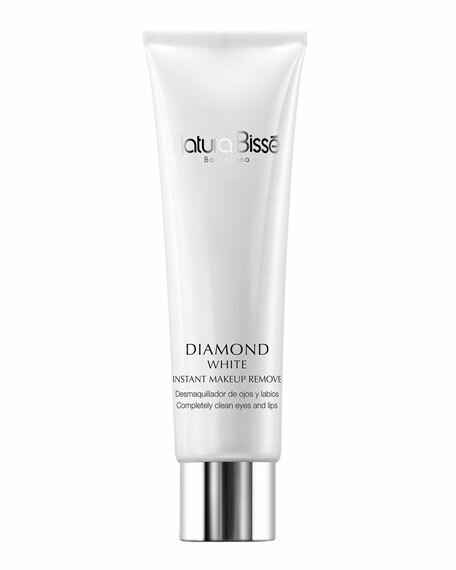 Use daily to remove makeup and cleanse the eye and lip contour area. Apply a small amount of the product on a cotton pad and remove makeup from the eye and lip area. Follow by removing makeup from eyelashes with gentle movements from base to tip. Do not rinse.